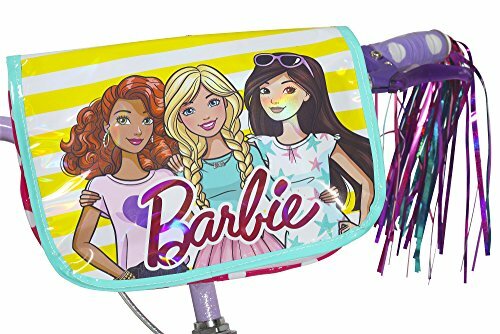 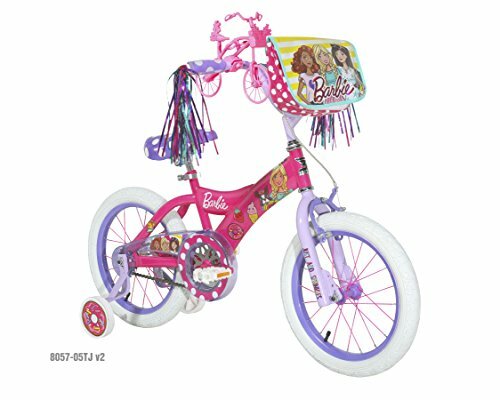 The 16″ Girls’ Barbie Bike is ready for young fans to use their imagination and create their own adventure. 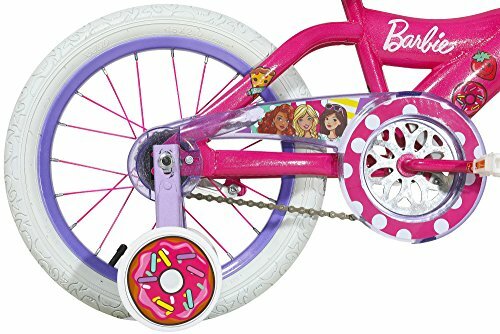 This bike features a custom Barbie pink paint job and graphics, a deluxe removable handlebar bag, and a “Ride with Me” Barbie minibike! 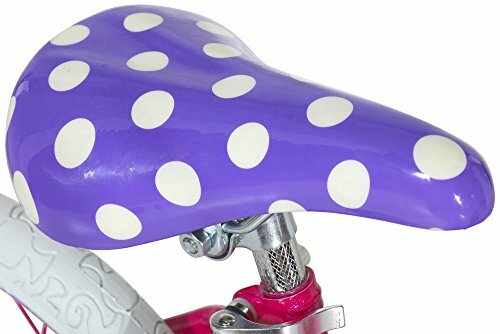 The adjustable purple polka dot padded seat matches perfectly with the pink polka dot comfortable handlebar grips. 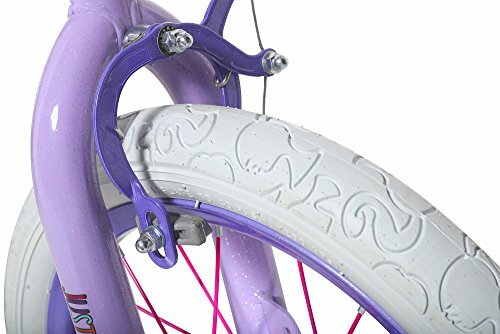 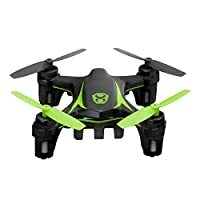 The adjustable/removable training wheels and front caliper hand and rear coaster breaks makes stopping smooth.